RIT’s E. Philip Saunders College of Business has been cited as an outstanding business school by The Princeton Review. 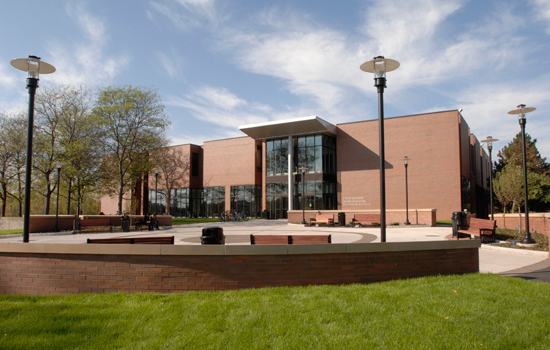 Rochester Institute of Technology’s E. Philip Saunders College of Business is an outstanding business school, according to The Princeton Review. The New York-based education services company has selected the school for inclusion in the 2011 edition of its book Best 300 Business Schools, now available in bookstores. According to the students in the program, they enjoy RIT’s very diverse and global environment and real-world work experiences—further enhanced by The Center for Student Innovation, which draws on the technical excellence of RIT’s eight colleges. The center sponsors workshops, seminars, innovation courses, competitions, mini-grants and pilot projects, and it helps students form interdisciplinary teams to collaborate on trans-disciplinary problems. Best 300 Business Schools has two-page profiles of the schools with write-ups on their academics, student life and admissions, plus ratings for their academics, selectivity and career placement services. The Princeton Review does not name a best business school overall or rank the schools in the book from 1 to 300. Note: One of eight colleges at RIT, the E. Philip Saunders College of Business is accredited by the Association to Advance Collegiate Schools of Business International (AACSB International) and enrolls more than 1,200 undergraduate and graduate students. The Saunders College and its entrepreneurial Venture Creations Incubator work in partnership with RIT’s Albert J. Simone Center for Innovation and Entrepreneurship to integrate business education with RIT’s world leading technical and creative programs. The business school also launched an online executive MBA program in 2009.